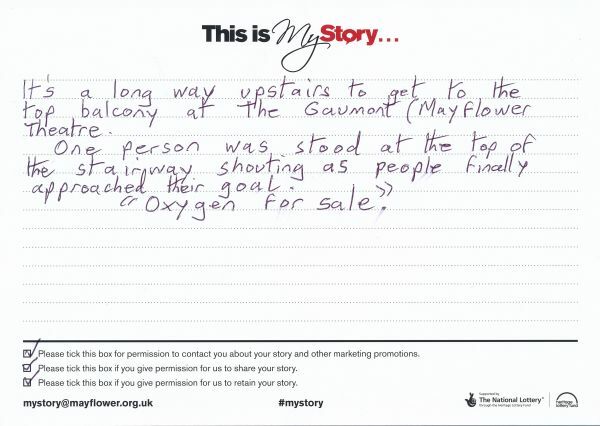 My Story card: Peter Atkins, "Oxygen for sale". It's a long way upstairs to get to the top balcony at The Gaumont (Mayflower Theatre). One person was stood at the top of the stairway shouting as people finally approached their goal. "Oxygen for sale".